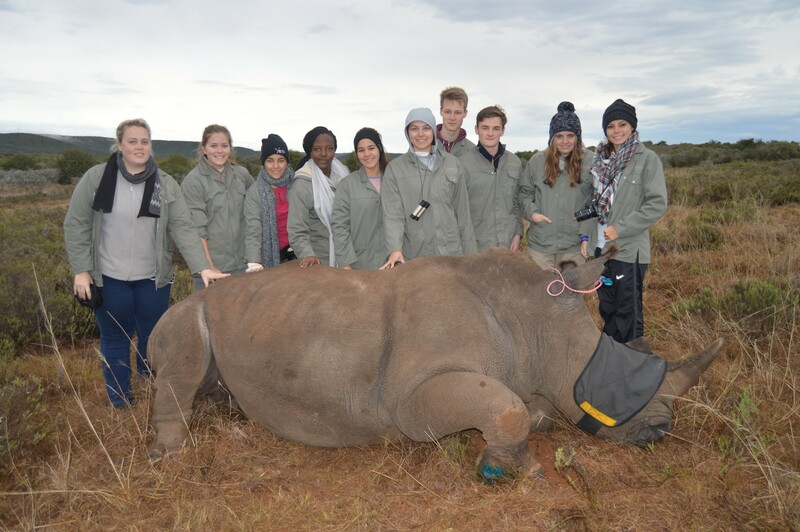 For budding veterinary students, going on safari is often a childhood dream, and for this year’s group of pre-vets it was the opportunity of a lifetime as this turned into reality! Being a veterinary student myself, I remember exactly how nerve-wracking it was to put together my application for university. Being accepted to vet school often involves hard work and commitment as early as from high school, from choosing your subjects to starting your work experience. The pre-vet course delivers work experience like no other, and aims to give you an edge over other applicants in several aspects. From observing vet work up close to advice on writing your personal statements, to post-morteming a waterbuck and practising interviews, we try to help you stand out and make your application as strong as possible! With a current vet student and Shamwari Conservation Experience rangers always on hand to help, shadowing Shamwari’s very own highly respected wildlife vet Dr. Johan Joubert, and vet nurse Megan Sinclair, was an unbelievable learning experience for the students! To watch the students develop over the two weeks and see their confidence grow was so rewarding, and I have no doubt they will all be very successful in their chosen fields of veterinary work! If you think the pre-vet course could be for you, please don’t hesitate to get in touch for more information! We would love to hear from you and are happy to answer any questions!